The Democrats have aided and abetted the jihad force for years, thinking it would keep them safe. They’re wrong. The Islamic State has planned a special welcome for the new Democrat house. An ISIS-allied media group continued threats against the U.S. Capitol in a violent image released as new lawmakers were sworn into office. 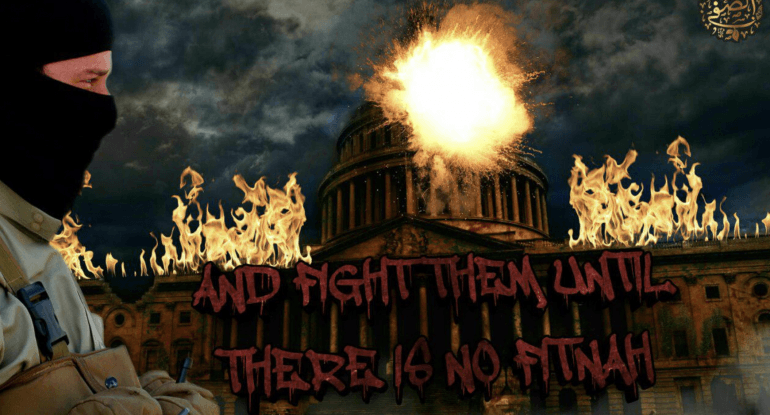 “And fight them until there is no fitnah,” states the text on the image. 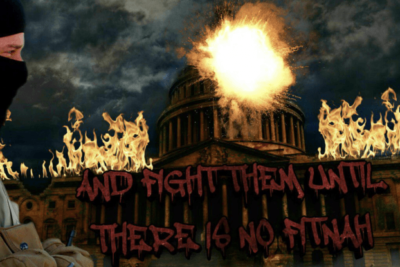 The Capitol threat follows others made online in recent weeks, including a month ago in Shabab al-Khilafah, or The Youth of the Caliphate, a new magazine geared toward young recruits calling on jihadists to wage vehicle attacks outside of the U.S. Capitol. It included the “Just Terror” slogan that ISIS uses for lone jihad.